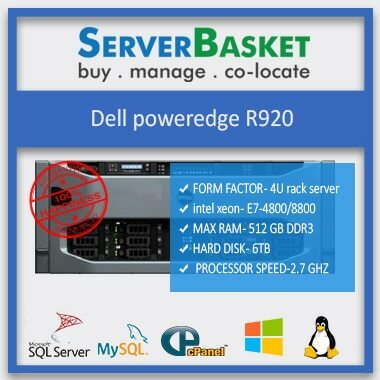 Buy Dell R740 Server at Lowest price Online as of compared to any other dealers or distributors in India and acquire immediate delivery, 3 years standard onsite warranty. Dell EMC PowerEdge R740 Rack Server is mainly designed to reduce IT challenges, drive business success, power up demanding environments and accelerate application performance by building a modern infrastructure using accelerator Graphic cards and storage scalability options. As per data sheet, Dell PowerEdge R740 Server comes with the 2U rack Form factor, Intel’s new C620 chipset, Intel Xeon scalable processor including the Intel Xeon Bronze, Silver, Gold & Platinum Processors of up to 28 Cores, for delivering an optimized balance of storage, compute resources and providing versatility for scaling virtual desktop infrastructure deployments. Based on Dell R740 Server technical specification sheet, Dell R740 rack mount server supports 24 DDR4 DIMM memory slots, RDIMM /LRDIMM and registered ECC DDR4 DIMM memory slots with speeds up to 2667times per second and 3TB of maximum memory. It also supports up to 12 NVDIMM with 192 GB of Maximum memory which actually helps in improving the output performance by 10 times than the original one. No need to worry if the customer would like to increase or decrease their business sizes now as well as in the upcoming future! It may be any application type or size; Dell PowerEdge R740 server can be fully customizable without fail. It consists of external port options for interfacing with external accessories to increase memory, storage and security-based options. The Dell PowerEdge R740 2u Rack server is inbuilt with latest security options for strengthening entire data protection so that one can safely and securely deliver exact data to users no matter in which location they may be available. By taking each and every aspect of security into consideration i.e., from basic design to final retirement, the R740 server ensures trust and delivers worry free, secure infrastructure without compromising. 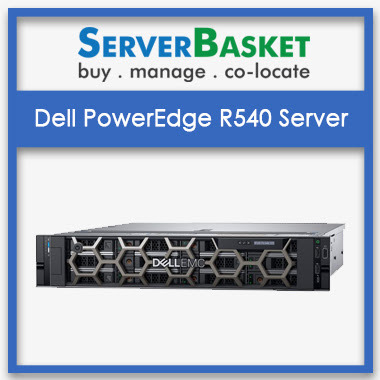 For delivering maximum efficiency and easy management options, Dell PowerEdge R740 rack server is equipped with Dell EMC OpenManage portfolio, which offers customized time to time work reporting, automatic error discovery and effective management solutions for optimizing the data center’s IT infrastructure. Our main aim is to reduce IT complexity, eliminate inefficiencies and lower costs by making IT solutions work harder for the customers. Dell PowerEdge R740 server’s end to end solutions help to maximize the overall performance, network uptime and deliver innovation at any scale. 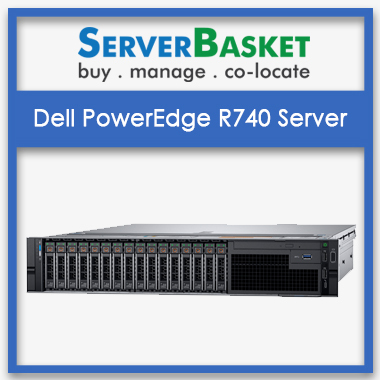 If looking to save cash or increase the output efficiency, ServerBasket’s Dell PowerEdge R740 server is the best choice to opt for. 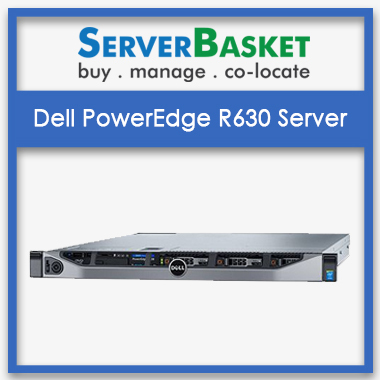 We are offering the Dell PowerEdge R740 rack mount server to the customers in and around India at the lowest possible price. 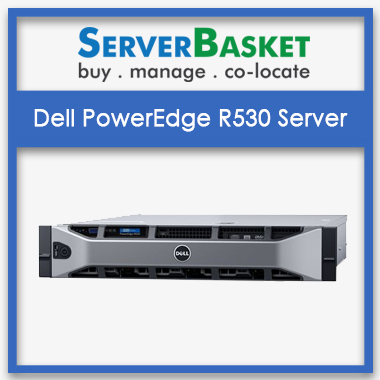 We promise that you will never get this Dell R740 server at such low price from any other Dell PowerEdge R740 sellers. No wait anymore! 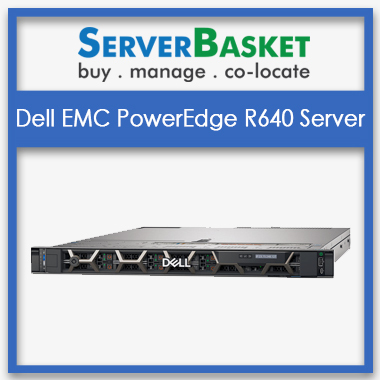 Order DELL PowerEdge R740 rack server at lowest price now...!!!. Who should you go to when your Dell PowerEdge R740 server is experiencing issues or hardware failures? Look no further, because at Server Basket, we offer a special three years warranty with your server purchase. You can rest easy knowing that you won’t have to worry about out of pocket costs and expensive repairs. Be assured that only original spare parts are used for replacement. 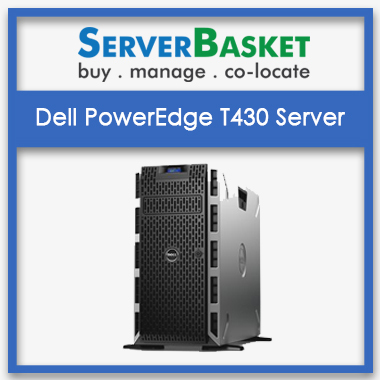 Irrespective of the location and area, we deliver the ordered Dell PowerEdge R740 server to any location in India without fail within 3 to 4 working days. It may be any location i.e., Hyderabad, Bangalore, Chennai, Mumbai, Delhi, Coimbatore, Vizag, Pune, Kolkata, Chandigarh etc., we deliver in less time. As our warehouse is in Hyderabad, local customers can even get the shipment in less than 3 days.